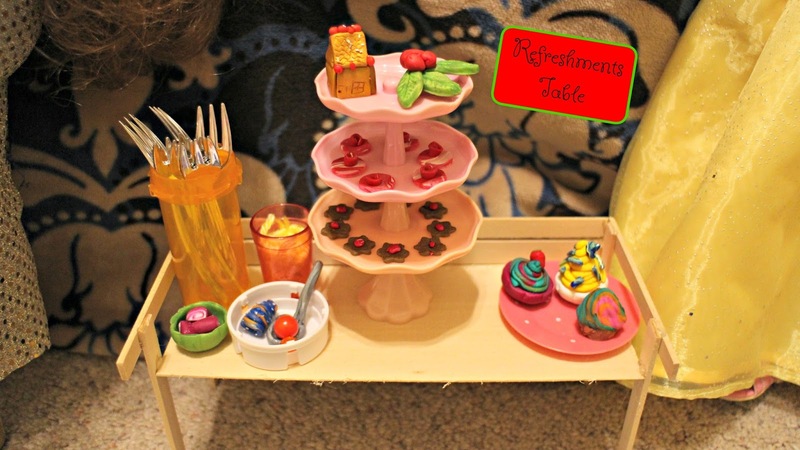 I used some things I found around my room to make the treats at the refreshments table. I used scraps of yellow yarn to make the lemonade, and clay to make the spoon, cookies, mistletoe, gingerbread house, and ice creams. For the fork container, I used an empty container and dumped mini plastic forks in it. I put Lego pieces and clay shapes into the cap and put a clay spoon in it to spoon the "candy" out. 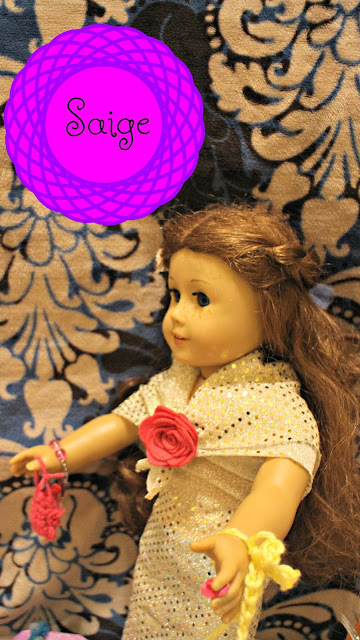 This is my doll, Kimberly. She is opening a present that Saige gave her. 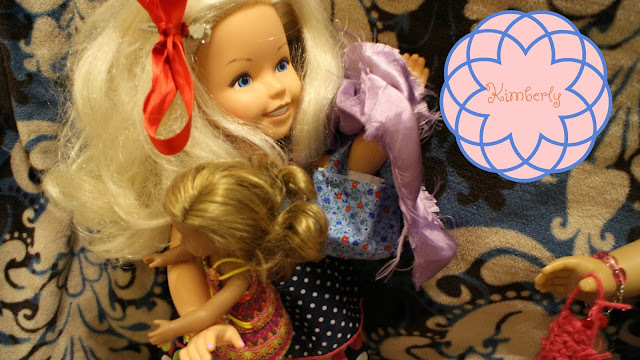 It is actually an American Girl Mini Lea Doll. 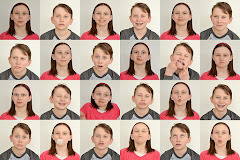 This is Saige, the American Girl Doll of the Year, from 2013. 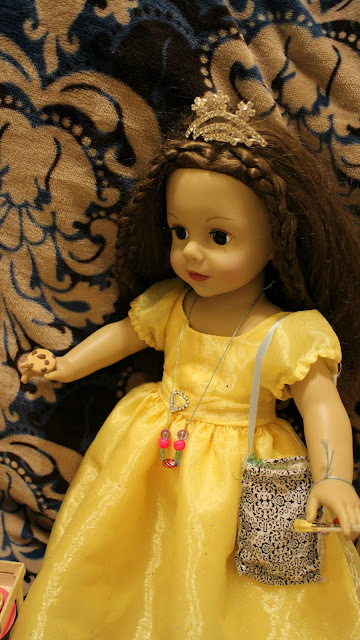 I made her dress and shawl from gold sequined fabric and blue ribbon. No sewing required! This is my doll Flower, sampling a chocolate chip cookie. Yum! 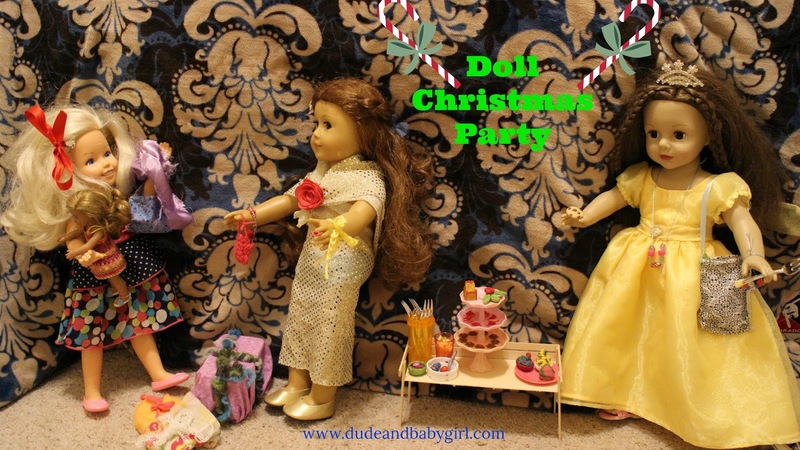 My dolls had a blast at their party! What will you have at your doll's party?